OpenGL is an open standard for rendering 2D and 3D graphics leveraging graphics hardware. OpenGL has been implemented across a stunning array of platforms allowing apps targeting OpenGL to be extremely flexible. // will print the error message in System.err. // Initialize GLFW. Most GLFW functions will not work before doing this. // Setup a key callback. It will be called every time a key is pressed, repeated or released. // invoked during this call. // OpenGL context, or any context that is managed externally. // bindings available for use. Note: There will be some Objective-c in this example.. We will make a wrapper to C++ in this example, So don't worry to much about it. First start Xcode and create a project. NSApplication is the main class you use while creating a MacOS app. It allows you to register windows and catch events. The implementation of our window is actually quite easy First we declare with synthesise our glview and add a global objective-c boolean when the window should close. Now for the constructor. My preference is to use the initWithContentRect. Alright... now we have actually a runnable app.. You might see a black screen or flickering.
" const vec4 vertices = vec4(vec4( 0.25, -0.25, 0.5, 1.0),  \n"
"                                   vec4(-0.25, -0.25, 0.5, 1.0),  \n"
"                                   vec4( 0.25,  0.25, 0.5, 1.0)); \n"
"    gl_Position = vertices[gl_VertexID];                          \n"
"    color = vec4(0.0, 0.8, 1.0, 1.0);                             \n"
Congratulations, now you have a awesome window with a OpenGL triangle without any third party frameworks. /* The following code is for error checking. *  If OpenGL has initialised properly, this should print 1. *  Remove it in production code. WGL (can be pronounced wiggle) stands for "Windows-GL", as in "an interface between Windows and OpenGL" - a set of functions from the Windows API to communicate with OpenGL. WGL functions have a wgl prefix and its tokens have a WGL_ prefix. Default OpenGL version supported on Microsoft systems is 1.1. That is a very old version (most recent one is 4.5). The way to get the most recent versions is to update your graphics drivers, but your graphics card must support those new versions. Full list of WGL functions can be found here. GDI (today updated to GDI+) is a 2D drawing interface that allows you to draw onto a window in Windows. You need GDI to initialize OpenGL and allow it to interact with it (but will not actually use GDI itself). In GDI, each window has a device context (DC) that is used to identify the drawing target when calling functions (you pass it as a parameter). 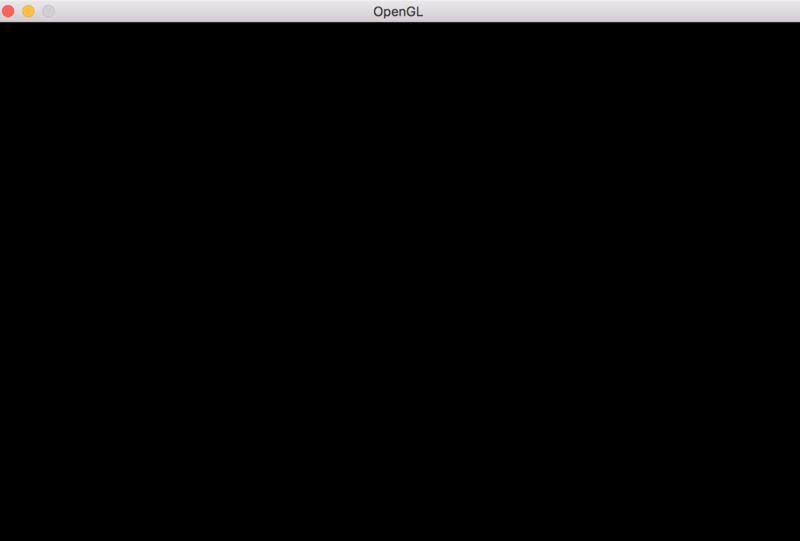 However, OpenGL uses its own rendering context (RC). So, DC will be used to create RC. So for doing things in OpenGL, we need RC, and to get RC, we need DC, and to get DC we need a window. Creating a window using the Windows API requires several steps. This is a basic routine, so for a more detailed explanation, you should consult other documentation, because this is not about using the Windows API. This is a Windows setup, so Windows.h must be included, and the entry point of the program must be WinMain procedure with its parameters. The program also needs to be linked to opengl32.dll and to gdi32.dll (regardless of whether you are on 64 or 32 bit system). For a precise explanation of the meaning of each field (and for a full list of fields), consult MSDN documenation. OpenGL needs to know some information about our window, such as color bitness, buffering method, and so on. For this, we use a pixel format. However, we can only suggest to the OS what kind of a pixel format we need, and the OS will supply the most similar supported one, we don't have direct control over it. That is why it is only called a descriptor. We've enabled double buffering in the dwFlags field, so we must call SwapBuffers in order to see things after drawing. Note that only one thread can use the RC at a time. If you wish to use it from another thread later, you must call wglMakeCurrent there to activate it again (this will deactivate it on the thread it's currently active, and so on). However, we probably want a little bit more than OpenGL 1.1. But Windows doesn't give us the function prototypes or exported functions for anything above that. The prototypes need to be acquired from the OpenGL registry. There are three files of interest to us: GL/glext.h , GL/glcorearb.h , and GL/wglext.h . In order to complete GL/gl.h provided by Windows, we need GL/glext.h . It contains (as described by the registry) "OpenGL 1.2 and above compatibility profile and extension interfaces" (more about profiles and extensions later, where we'll see that it's actually not a good idea to use those two files). And you're all set! Just include the header with the function pointers and GL away. OpenGL has been in development for over 20 years, and the developers were always strict about backwards compatibility (BC). Adding a new feature is very hard because of that. Thus, in 2008, it was separated into two "profiles". Core and compatibility. Core profile breaks BC in favor of performance improvements and some of the new features. It even completely removes some legacy features. Compatibility profile maintains BC with all versions down to 1.0, and some new features are not available on it. It is only to be used for old, legacy systems, all new applications should use the core profile. Because of that, there is a problem with our basic setup - it only provides the context that is backwards compatible with OpenGL 1.0. The pixel format is limited too. There is a better approach, using extensions. Any addition to the original functionality of OpenGL are called extensions. Generally, they can either make some things legal that weren't before, extend parameter value range, extend GLSL, and even add completely new functionality. There are three major groups of extensions: vendor, EXT, and ARB. Vendor extensions come from a specific vendor, and they have a vendor specific mark, like AMD or NV. EXT extensions are made by several vendors working together. After some time, they may become ARB extensions, which are all the officially supported ones and ones approved by ARB. To acquire function pointer types and function prototypes of all the extensions and as mentioned before, all the function pointer types from OpenGL 1.2 and greater, one must download the header files from the OpenGL registry. As discussed, for new applications it's better to use core profile, so it would be preferrable to include GL/glcorearb.h instead of GL/gl.h and GL/glext.h (if you are using GL/glcorearb.h then don't include GL/gl.h ). There are also extensions for the WGL, in GL/wglext.h . For example, the function for getting the list of all supported extensions is actually an extension itself, the wglGetExtensionsStringARB (it returns a big string with a space-separated list of all the supported extensions). Getting extensions is handled via wglGetProcAddress too, so we can just use our wrapper like before. The WGL_ARB_pixel_format extension allows us the advanced pixel format creation. Unlike before, we don't use a struct. Instead, we pass the list of wanted attributes. For a precise explanation of the parameters and functions, consult the OpenGL specification. Why didn't we just start off with them? Well, that's because the extensions allow us to do this, and to get extensions we need wglGetProcAddress , but that only works with an active valid context. So in essence, before we are able to create the context we want, we need to have some context active already, and it's usually referred to as a dummy context. GL/gl.h should not be included. If using compatibility profile, the GL/gl.h and GL/glext.h need to be included. /* A procedure for getting OpenGL functions and OpenGL or WGL extensions. Compiled with g++ GLExample.cpp -lopengl32 -lgdi32 with MinGW/Cygwin or cl GLExample.cpp opengl32.lib gdi32.lib user32.lib with MSVC compiler. Make sure however, that the headers from the OpenGL registry are in the include path. If not, use -I flag for g++ or /I for cl in order to tell the compiler where they are. One of the most common misconceptions about OpenGL is, that it were a library that could be installed from 3rd party sources. This misconception leads to many questions in the form "how to I install OpenGL" or "where to download the OpenGL SDK". This is not how OpenGL finds the way into computer system. OpenGL by itself is merely a set of specifications on what commands an implementation must follow. So it's the implementation that matters. And for the time being, OpenGL implementations are part of the GPU drivers. This might change in the future, when new GPU programming interface allow to truly implement OpenGL as a library, but for now it's a programming API towards the graphics drivers. When OpenGL got first released the API somehow found its way into the ABI (Application Binary Interface) contract of Windows, Solaris and Linux (LSB-4 Desktop) in addition to it's origin Sun Irix. Apple followed and in fact integrated OpenGL so deep into MacOS X, that the OpenGL version available is tightly coupled to the version of MacOS X installed. This has the notable effect, that system programming environments for these operating systems (i.e. the compiler and linker toolchain that natively targets these systems) must deliver also OpenGL API definitions. Such it is not necessary to actually install an SDK for OpenGL. It is technically possible to program OpenGL on these operating systems without the requirement to install a dedicated SDK, assuming that a build environment following the targeted ABI is installed. A side effect of these strict ABI rules is, that the OpenGL version exposed through the binding interface is a lowest common denominator that programs running on the target platform may expect to be available. Hence modern OpenGL features are to be accessed through the extension mechanism, which is described in depth separately. The API binding library opengl32.dll (named so for both 32 bit and 64 bit versions of Windows) is shipped by default with every Windows version since Windows NT-4 and Windows 95B (both ca. 1997). However this DLL does not provide an actual OpenGL implementation (apart from a software fallback which sole purpose is to act as a safety net for programs if no other OpenGL implementation is installed). This DLL belongs to Windows and must not be altered or moved! Modern OpenGL versions are shipped as part of the so called Installable Client Driver (ICD) and accessed through the default opengl32.dll that comes pre-installed with every version of Windows. It was decided internally by Microsoft, however, that graphics drivers installed through Windows Update would not install/update a OpenGL ICD. As such fresh installations of Windows with drivers installed automatically are lacking support for modern OpenGL features. To obtain an OpenGL ICD with modern features, graphics drivers must be downloaded directly from the GPU vendor's website and installed manually. Regarding development no extra steps must be taken per-se. All C/C++ compilers following the Windows ABI specifications ship with headers and the linker stub (opengl32.lib) required to build and link executables that make use of OpenGL. If Xcode is not installed. 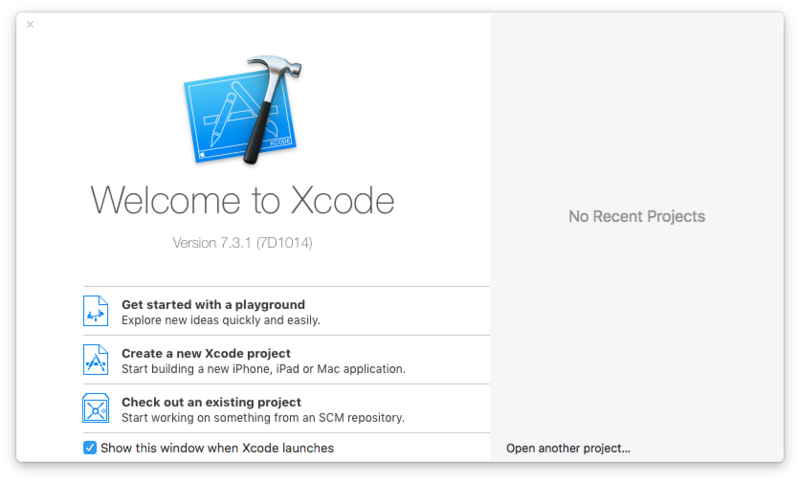 Download and install Xcode from Mac App Store. 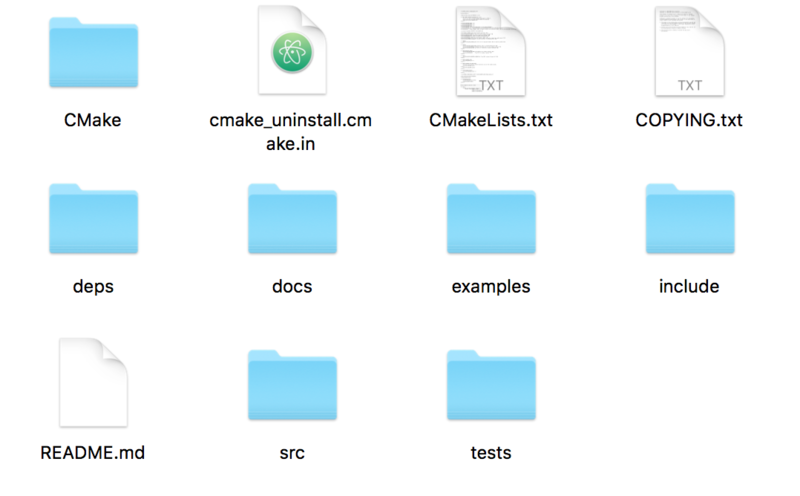 Open CMake, click on Browse Source button to select the GLFW folder (make sure that CMakeLists.txt) is located inside that folder. After that, click on Browse Build button and select the newly created Build folder in previous step. 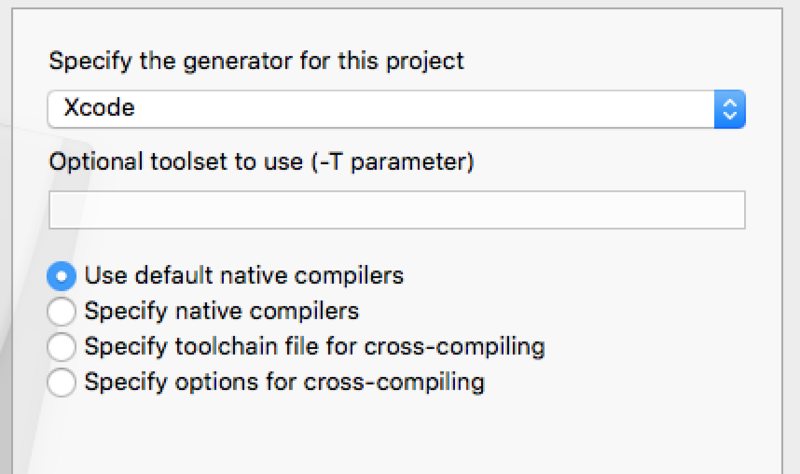 Now Click on Configure button and select Xcode as generator with Use default native compilers option, and click Done. Tick on BUILD_SHARED_LIBS option and then click on Configure button again and finally click Generate button. Now Open Finder and goto /usr, create a folder name local if not already there. 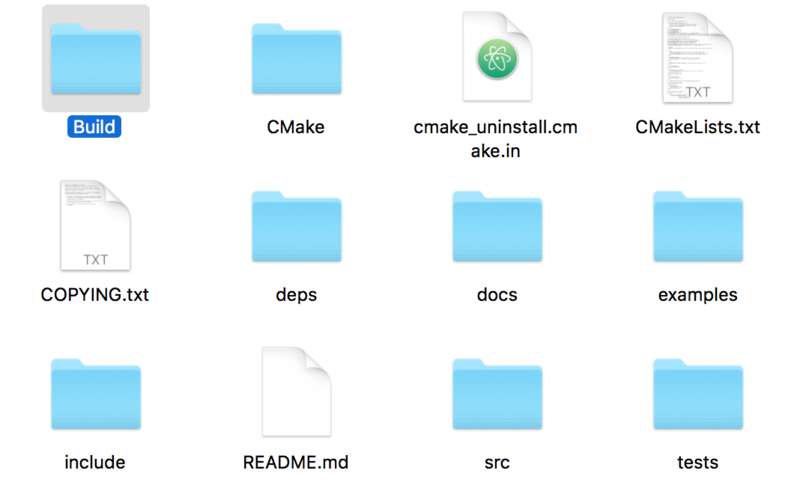 Open the local folder and create two folders include and lib if not already there. 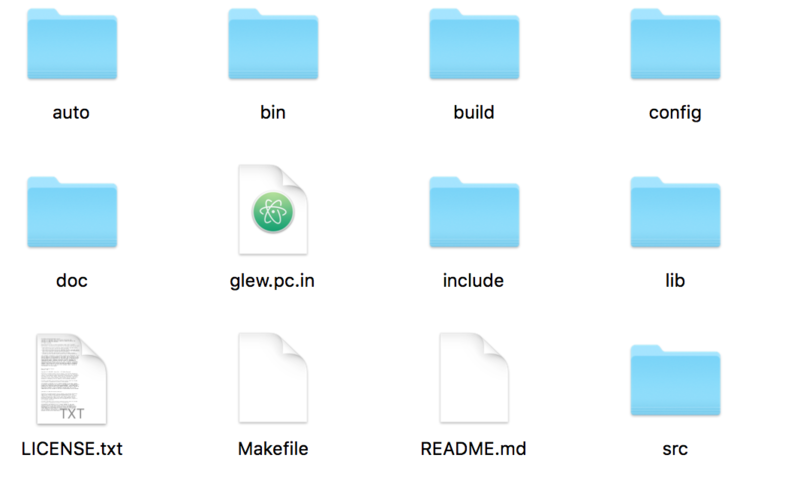 Now open the GLFW folder and goto Build (where CMake had built the files). 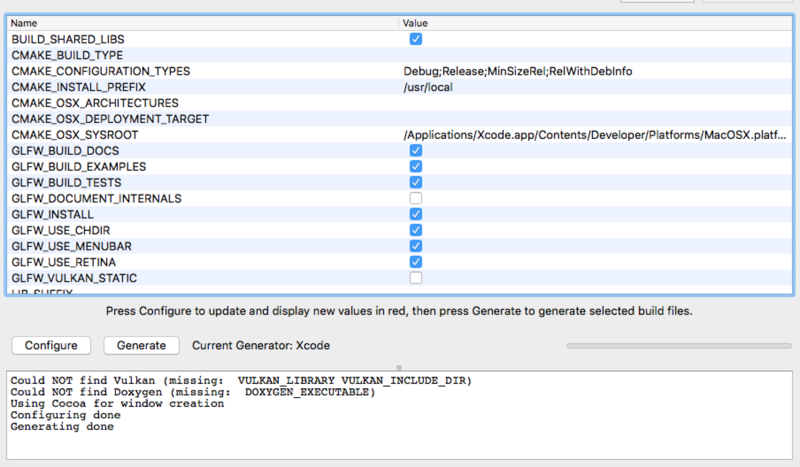 Open GLFW.xcodeproj file in Xcode. Select install > My Mac and then click on run (Play shaped button). It is now successfully installed (ignore the warnings). Extract the GLFW folder and its contents will look like this. Now we have successfully installed GLFW and GLEW. Its time to code. 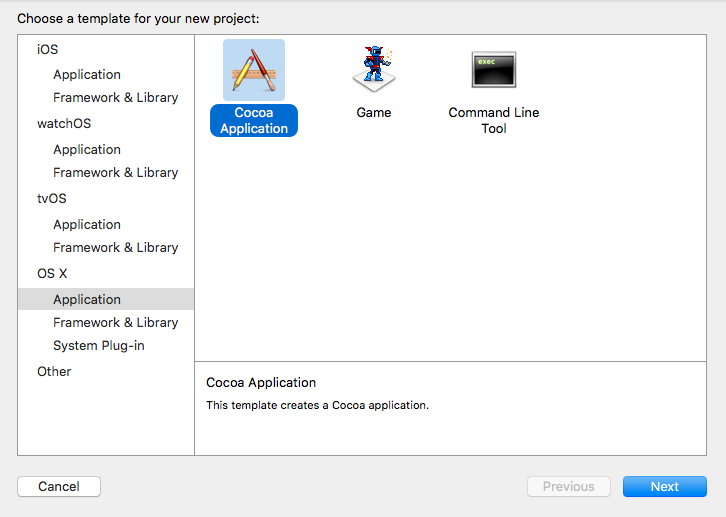 Open Xcode and create a new Xcode project. Select Command Line Tool then proceed next and select C++ as language. 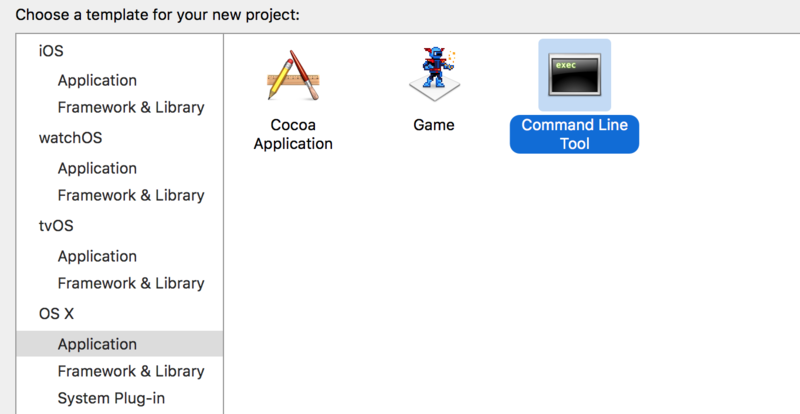 Xcode will create a new command line project. 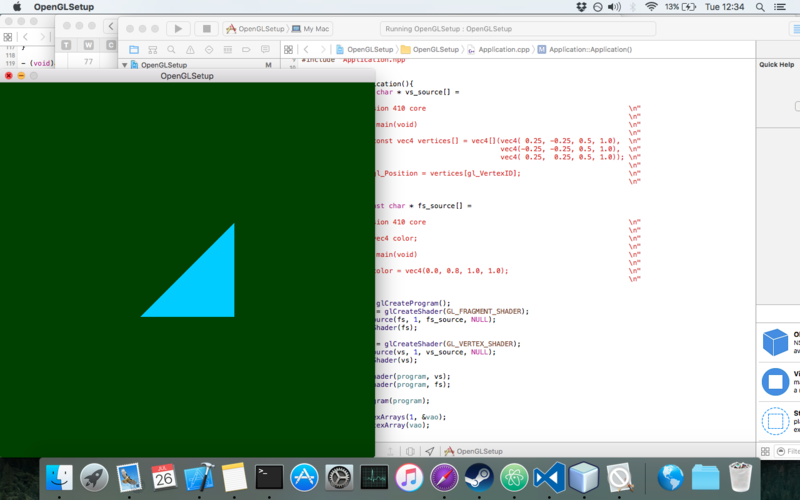 Now we are ready to code in Modern Open GL 4.1 on macOS using C++ and Xcode. 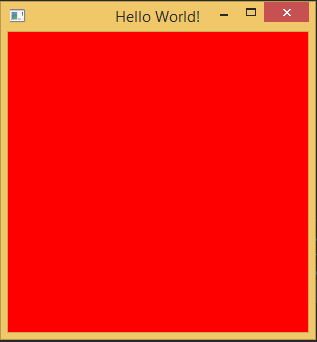 The following code will create an OpenGL Window using GLFW with Blank Screen Output.